SemanticWeb.com invited people to make video elevator pitches for the Semantic Web, focused on the question “What is the Semantic Web?”. I decided to give it a go. I’d love to hear comments from folks who share my motivation, trying to solve this ‘every app is a walled garden’ problem. In case you’re curious, here’s the script I’d written down, which turned out to be wayyyy to long for the elevators in my building, and also too long for me to remember. Eric Franzon of SemanticWeb.Com invited people to send in an elevator pitch for the Semantic Web. Here’s mine, aimed at a non-technical audience. I’m Sandro Hawke, and I work for W3C at MIT, but this is entirely my own view. The problem I’m trying to solve comes from the fact that if you want to do something online with other people, your software has to be compatible with theirs. In practice this usually means you all have to use the same software, and that’s a problem. If you want to share photos with a group, and you use facebook, they all have to use facebook. If you use flickr, they all have to use flickr. It’s like this for nearly every kind of software out there. The exceptions show what’s possible if we solve this problem. In a few cases, through years of hard work, people have been able to create standards which allow compatible software to be built. We see this with email and we see this with the web. Because of this, email and the Web are everywhere. They permeate our lives and now it’s hard to imagine modern life without them. In other areas, though, we’re stuck, because we don’t have these standards, and we’re not likely to get them any time soon. So if you want to create, explore, play a game, or generally collaborate with a group of people on line, every person in the group has to use the same software you do. That’s a pain, and it seriously limits how much we can use these systems. I see the answer in the Semantic Web. 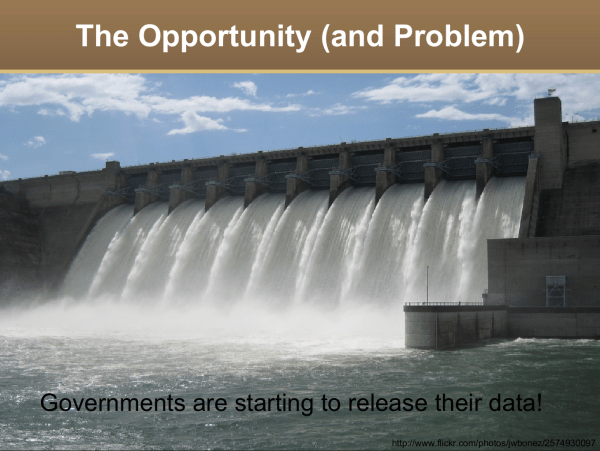 I believe the Semantic Web will provide the infrastructure to solve this problem. 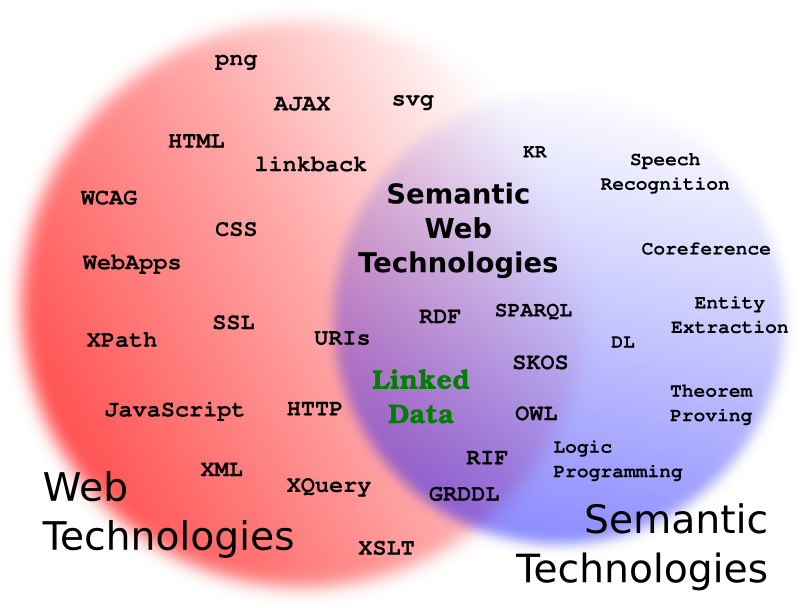 It’s not ready yet, but when it is, programs will be able to use the Semantic Web to automatically merge data with other programs, making them all — automatically — compatible. Okay, elevator pitch for the Semantic Web. Well, right now, it’s a set of technologies that are seeing some adoption and can be useful in their own right, but what I want it to become is the way everyone shares their data, the way all software works together. That’s a problem, and I think it’s one the Semantic Web can solve with a mixture of standards, downloadable data mappings, and existing Web technologies. 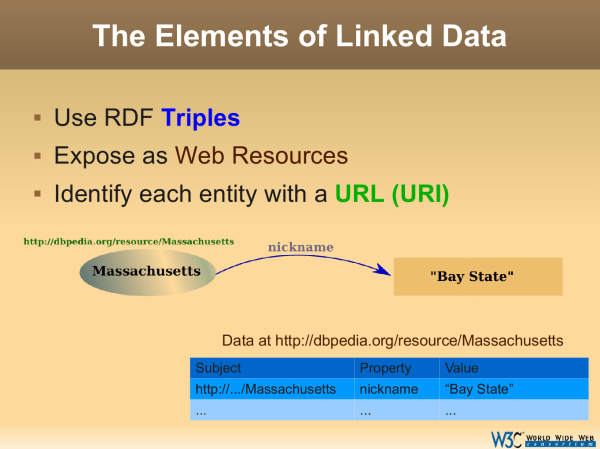 I’m Sandro Hawke, and I work for W3C at MIT. This has been entirely my own opinion. So, back to the subject at hand. Who is with me on this?